Click the button below to add the RHS Cherry Chocolate Collection to your wish list. 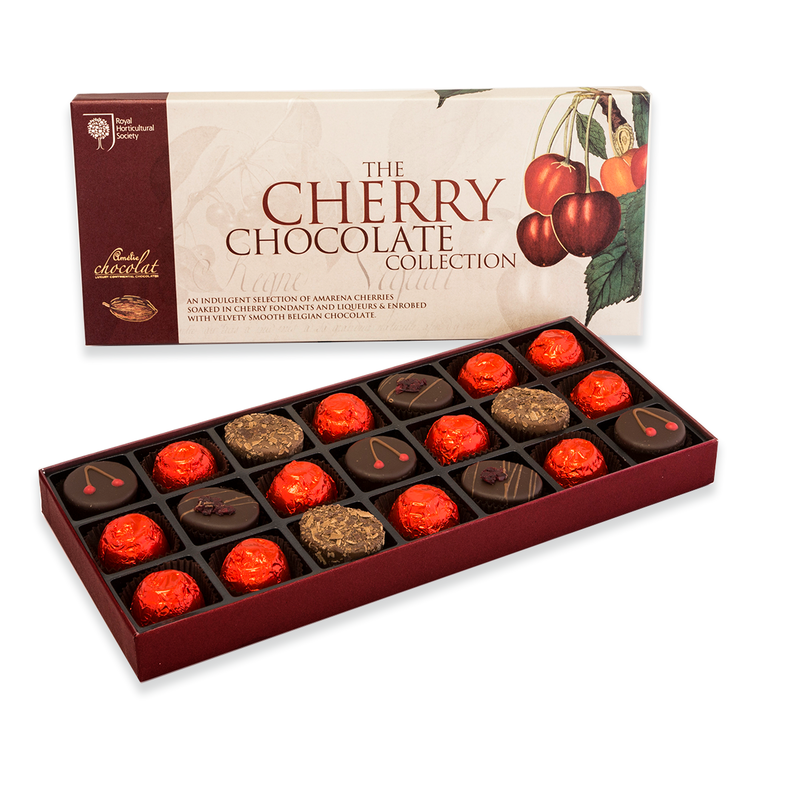 Presented as part of the new RHS "Chocolates By Nature" Collection, this luxurious selection of Cherry Chocolates makes a wonderfully indulgent gift & treat. Rich and boozy fillings include plump kirsch soaked cherries in a bed of thick dark ganache, double enrobed amarena cherries in liqueur fondant cream, traditional red foiled cherry liqueurs and amarena cherries in amaretto fondant cream. Enrobed in velvety smooth dark and milk Belgian chocolate, this decadent assortment is perfect for lovers of cherries and lovers of chocolates of excellence!